Place malted milk balls and milk in blender container. Cover, blend until milk balls are finely chopped; add ice cream. Cover; blend until thick and speckled with chocolate. 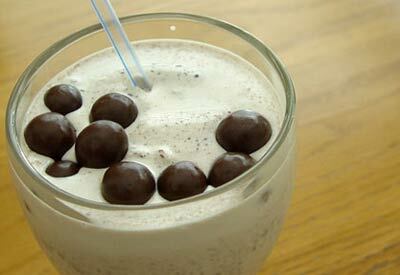 Pour into serving glass and place a few whole malted milk balls on top of milkshake; add a straw. Serve immediately.